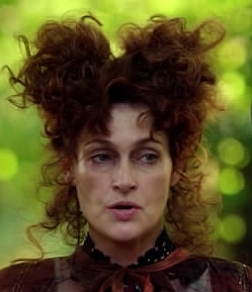 Even though Roslyn Harris hasn't yet made an appearance on True Blood, talking to Carolyn Hennesy, the actor who plays her, made me feel like I knew what Rosalyn will be like. Carolyn seems to be full of energy, feisty and creative. She also described Rosalyn in a nutshell as “a woman who will have a glass of whiskey with you and then, if you cross her, she’ll drain ya.” In addition to talking about Rosalyn, Carolyn also told me how she loves True Blood (she watched all four seasons in 10 days). She said that after viewing all the episodes, she became a TRUE fan and during our time together she shared some of the things that made her gasp and awe while watching. Carolyn’s not just an actress, she is a trapeze artist, knows sign language and is also a New York Times bestselling author of a pre-teen series called, “Pandora.” She is truly an amazing woman and I can’t wait to see her in Season 5. I started out our discussion by asking her about her experience of seeing True Blood. You are now known for having watched all four seasons of True Blood back to back. Bravo! However, I’m not surprised that you couldn't stop watching because I think it’s like a novel that you can’t put down. Was that your impression and how did you like it? Carolyn: Oh yea, oh yea, that’s when he [Bill] is sitting in his mansion and she [Sookie] kind of walks in there, it’s the mansion pre-makeover, the old mansion. What is your impression of True Blood now that you have been part of the cast vs. when you saw the show? Carolyn: Being a member of the vampire authority, we are isolated, we are very much by ourselves in our own little world and we have really only come in contact on the show with Vampire Bill and Vampire Eric. So, it’s really just those two, and for me, knowing them even to the slight degree that I do, there’s a much more human face that I’m able to put on those four seasons and really savor the acting, because these are very funny, delightful, kind of cut ups and that’s not what really comes across, certainly not with Alexander. But, the sense of humor that both men have is extraordinary and so much fun to be around. They’re like blood brothers, brothers under the skin after four almost five years. I would not be surprised to learn that Alexander is shy [or reserved] with the fans though. There are so many women and men who are just chomping at the bit to get within 10 feet of this man, I can imagine that it’s just overwhelming for this beautiful, beautiful young man. It’s like my first fan club weekend when I was on General Hospital, the amount of adulation coming at me was like the most wonderful Tsunami, but it’s still a tidal wave, and you’re simply not prepared for it. The second time you know a little about what to expect going in, but it’s a wonderful Tsunami, and that’s what it is. Who are you favorite True Blood characters? Carolyn: Lafayette and Sam, I’m Team Sam all the way. Love, Terry Bellefleur and I love Andy Bellefleur. I love the Bellefleur family. I loved Cooter [Grant Bowler] and I loved the Maenad. I thought she was exquisitely played by Michelle Forbes and that was a fearless performance. Oh, and of course, my favorite and yours, Mr. Russell Edgington, III [Denis O’Hare]. It’s like being in a master class. Talk about fearless, I like to think I’m fearless as an actor, and then you get around somebody who just chews up the scenery in the most profound way and the most delightful, exquisite and fully realized way. Thank you for that class mister, thank you so much, what do I owe you? What can you tell us about your character of Rosalyn Harris? Carolyn: Here’s what I have deduced from working with the writers and from the little drips and drabs I've heard and by talking with Alan. Rosalyn is very old, but has found her heart in Texas. Now, that means that Rosalyn, as far as I’m concerned, is one of the gals who helped to settle the old west, so Rosalyn is a “man’s man, in a man’s world’ in a very strange way, yet she is always a lady and she has found herself kind of stuck in the 60’s, 70’s and 80’s in the great grand dames of Texas. Rosalyn is what we call a “broad.” She has a fantastic sense of humor and I like to think of her as a combination of May West, Ann Richards, and Joan Crawford in Johnny Guitar. She takes no names, no prisoners. She’ll have a glass of whiskey with you and then if you cross her, she’ll drain ya. So she is very Texan then, right? Carolyn: Yes, she is very Texan, but Rosalyn has retained a wonderful sense of humor about herself and about everything else. Rosalyn just gets the joke and finds the humor and understands that mainstreaming is really the way to go and just plays it that way. But above everything else, she is also a survivor. What kind of dresser is Rosalyn? Do you have any interesting outfits? And, what’s with the big hair? Carolyn: Rosalyn is exquisitely tailored, there’s nothing that doesn’t fit and there’s nothing that doesn’t match. Her clothes are only the finest designer labels, but she’s got this hair which she just teases up to God and calls it a damn day. That’s Rosalyn. And, they have not wigged me and I don’t know how they manage it with my hair in a short and adorable little bob, but they do. There’s a lot of hairspray flying around that makeup trailer, lots of it. Regarding the clothes, does Rosalyn wear all kinds of outfits and dress contemporary? What I mean is Pam wears a variety of outfits, sometimes she is in pink looking very 60’s and other times she wears outfits with thorns sticking out and is dressed very voluptuously. What about Rosalyn? Carolyn: No, Rosalyn is very, very conservative, but very chic. Rosalyn looks as if Ann Richards was brought into this particular age and very contemporary. Rosalyn is just chic head to toe. Listen, what about the boys? Stephen and Alexander are in T-shirts, jeans and leather jackets and they still look like they are runway ready. Audrey Fisher is a genius, pure and simple. How many episodes will you be in this season on True Blood? Carolyn: I honestly don’t know how many, at the end of the season I’m going to be in, but from what they’ve filmed so far, I’ve been in the majority. You’ve already shared that you’ve mostly worked with Alexander Skarsgard and Stephen Moyer, but what about other members of the cast who are also on the Authority? For example, we know that Chris Meloni is a member of the authority so I’m guessing you’ve worked with him a lot. What about Christopher Heyerdahl, have you worked with him yet? Oh yes, absolutely. He is also a member of the Authority. Chris Heyerdahl, Peter Mensah, and Valentina Cervi, but I just call her the beautiful Italian woman. We are all members of the authority and all work very closely together. Any favorite quotes from the show? Below is the scene Carolyn is talking about from Season 1. What do you think of Alan Ball leaving the show? Do you think it will change because of his leaving? Carolyn: I know, it’s like Papa come back, don’t leave. I think he knows, and everyone on that set knows, that first of all he’s not walking off into the fog; this is not a "Casablanca" moment. He’ll be back. He will always have a shepherding eye, I believe, on the show. I know in my heart of hearts that he would not be leaving if he did not know that the show was left in spectacular hands. The show is simply going to continue unabated. I don’t think he would leave if he felt there was going to be a misstep, so we all have to feel very, very confident, I certainly do. No one wants to see change especially when the machine is so well oiled and is running at top speed and is so incredibly good. No one ever wants to throw a monkey wrench in that machinery, but this is one case where the technology is fantastic and the operator can walk away so to speak. Is it pleasant, of course not, but his is a machine that is functioning like a Swiss watch, so I think we’re good. You’re originally from Los Angeles, right? Carolyn: Born and bred in Encino. My father was in the business, and I had an aunt in the business. My aunt is [actress] Barbara Rush. She is my aunt on my mother’s side. So, I’ve been around the sound stages a few times. And, I see that you have lots of stage experience and also were a member of the main company at the Acme Comedy Theater. Can you talk about that a bit? Carolyn: I came out of the Groundlings and was still looking for and needed to work out and I loved, loved sketch comedy and a friend of mine told me about the Acme Comedy Theater which was run then, by MD Sweeney. I went down and started working out with them and then they moved over to a beautiful theater on La Brea and I was there for what I consider to be the “Halcyon salad days” of the Acme Comedy Theater with some amazing talent and created some high watermark sketches. I still keep in contact with those people today and they are some of my very best friends. Some of the best work and some of the best sketches came out of that. Most of what I see on your resume is stage and TV. Do you plan to do films, too? Carolyn: Absolutely, of course, always, wherever they’ll take me I shall go there. Working actor, have makeup kit, will travel. Can you talk a bit about your one woman show “Carolyn Hennesy’s Big Leap” and what that was all about? Carolyn: I took a number of the characters I had created at both the Groundlings and Acme and put them into a very sort of, funny, multi-character, ensemble one woman show. I had it up at the HBO work stage for a while and that was a tremendous workout. You talk about a good workout. I worked very closely with a couple of creative directors and producers who sort of shepherded me through the whole process. I wrote the whole thing and it was a great experience. It was exhausting, but very rewarding. 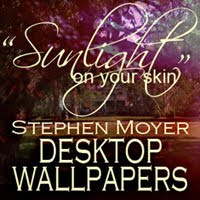 Am I right that you are currently acting in Cougar Town, General Hospital and True Blood? How is it juggling all that as well as all your other interests? Carolyn: Cougar Town has finished filming for this season and I was on Cougar Town this season. Fans will be able to catch me on Cougar Town this season as the inimitable Barb. General Hospital never stops filming so I go back to that when I can. But, now True Blood has really taken priority. We managed to sort of juggle everything. Carolyn: Diane Miller, smart, sassy, witty, no nonsense no guff, a little bit of a cougar and takes absolutely no nonsense. She is the only one on that show who can keep the head of the crime family, the head mobster, Sonny Corinthos in place. She’s the only one who can talk to him and not get shot in the head for what she says. Do you think that playing the part of Diane Miller on General Hospital had any influence on your getting the part on True Blood? Carolyn: I don’t know that for a fact, but I wouldn't be surprised. Alan Ball is very savvy; he knows everything that’s going on. I think that Alan Ball is like JFK and probably reads several newspapers every morning cover to cover, so he knows what’s going on. I wouldn't be surprised if he said, hey, here’s a quality that I like, I want to bring this actress in as part of the vampire authority to see where it goes to see where it leads. Do I know that for a fact? No, I don’t. Would I be surprised to find that out? No. Diane, I like to think was the Greek Chorus for General Hospital. She was able to say what the audience was thinking, she was able to give that viewpoint especially to these mob characters that were just running amuck and lacking tremendously in common sense. She was able to say if you do “A”, then “B” will happen, guaranteed. She is smart and sassy, witty and funny, so I think Alan Ball might have taken a look and said “OK, let’s see her. “ That’s not to say that I didn’t have to audition and earn it, but maybe that helped a little bit. You were on Once upon a Time in the first Season, will you be back? Carolyn: I hope so, I had a wonderful time doing it and you know, Jiminy Cricket’s mother, his parents, they’re still there, Martin and Myrna, they’re not dead, there not gone. I would love to see a return of Martin and Myrna because they were so deliciously evil. I think it’s interesting that now we have two True Blood cast members who have been on this show, you and Kristin Bauer. Have you and she talked about it? Carolyn: Yes, Kristin played Maleficent, well what a great choice. We don't have too much time left, and I'd like to mentionother parts of your life, like that you speak sign language, have flown the flying trapeze, but I want to be sure to ask you about your books because that’s another big aspect of your life I’m sure. Carolyn: Of everything that I have ever done in my life, to date, and there have been a lot of wonderful adventures, the best thing that I have ever done in my life is the seven Pandora books. What made you start writing your books and why did you decide to write pre-teen books? Carolyn: My books were originally a series of short stories featuring Pandora as a thirteen year old. At 13 you know everything and you know nothing. My Pandora was a teenager and I just wanted to combine my love of Greek mythology, and I started to expand this particular short story at the suggestion of a fellow writer who said, “You know what? This could be a series of novels for young adults.” I really remember my twelve, thirteen, fourteen year old years as particularly angst driven and I thought if I can help some girl get through this and understand that you’ve got to develop your character, and if you mess up, and we all do, you have to step up to the plate and take responsibility for your actions. Yes, you have to suffer those consequences but sometimes, in suffering the consequences, you get to save the world. So you really need to look at the larger picture and you can have fun doing it, you can learn about yourself, test the bonds of friendship, live by your wits and I thought those teenage years can be a grand adventure, they don’t have to be angst ridden. And, that’s why I went off in that direction. Below is an appearance Carolyn made discussing her books. I enjoyed speaking to Carolyn and again, am looking forward to seeing her character in June. 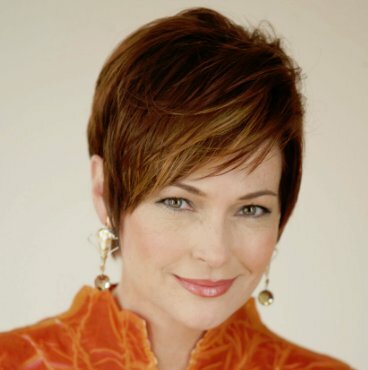 Look for more information about Carolyn at her website carolynhennesy.com and she is also on Twitter at @CarolynHennesy.